Ever since I got my Macbook, I’ve used Parallels with my Book Camp partition to run Windows side-by-side with OSX. 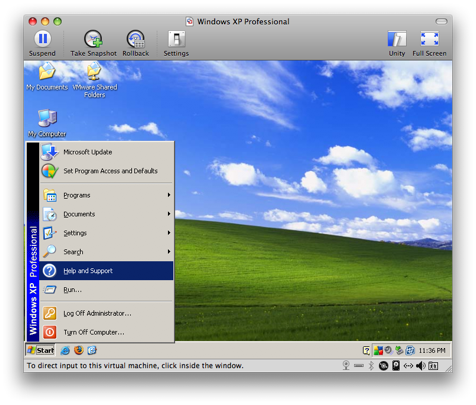 I had heard that there was this other option of using VMWare Fusion but never really bothered to look into it. This was true until this weekend. It had been a couple of days since I recently upgraded to 4gb of ram. I actually had not started up Parallels in awhile but I wanted to test something in the dreaded Internet Explorer so I started up Parallels. Must be a fluke! So, let’s try this again. Uh-oh. This doesn’t look good. After googling a bit, it turns out Parallels does some pretty bad things like modify essential Windows boot up files to get Boot Camp to work with Parallels. They even modify boot.ini! So, I think what happened to me was that Parallels crashed at some point and corrupted/deleted these essential Windows files rendering my Windows partition unbootable. This is what you call a deal breaker. If your software’s purpose is to allow other operating systems to run, rendering said operating system unusable is a big no no. So, I’ve been using Fusion for a day or two now, feature for feature pretty much has everything Parallels had. Even the user interface is fairly similar, they just call things a little different. For example, what Parallels calls Coherence, Fusion calls Unity. Performance is about the same but I don’t really play games or anything other than startup Internet Explorer when running Windows. Best of all, Fusion doesn’t seem to do terrible things like modify Windows boot up files. Fusion beats Parallels hands down.